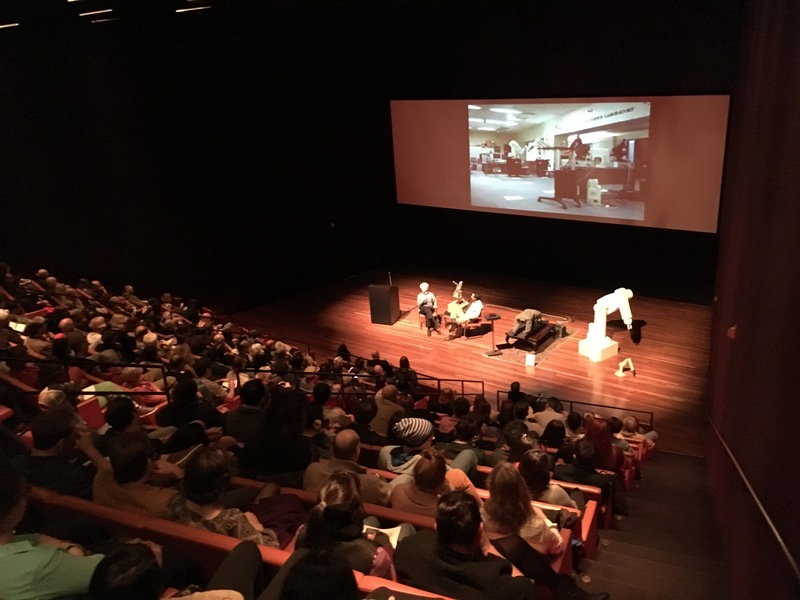 de Young Museum Theater, San Francisco, 6:30pm, Friday, 20 Nov, 2015. Free admission, live music, cash bar, cafe, kids activities. 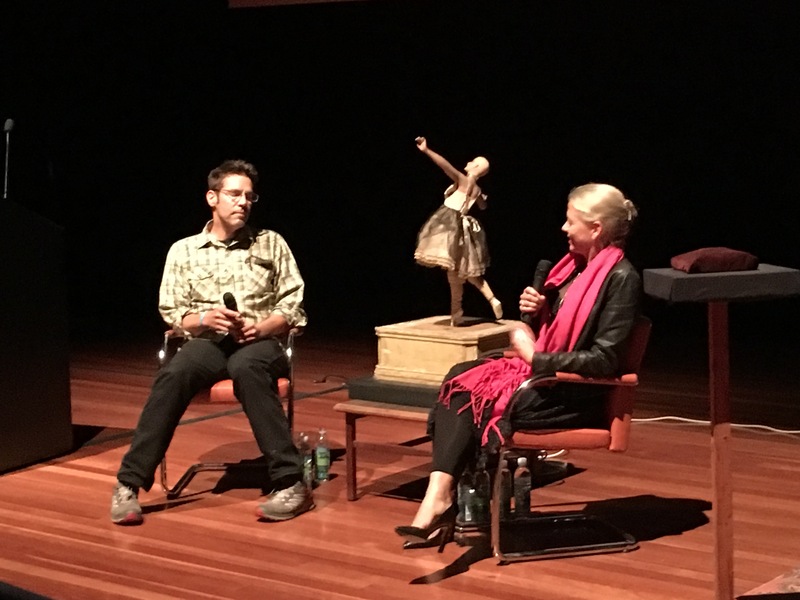 The discussion in the main theater was in conjunction with the de Young's exhibition honoring the 100th anniversary of the 1915 Panama-Pacific International Exposition. 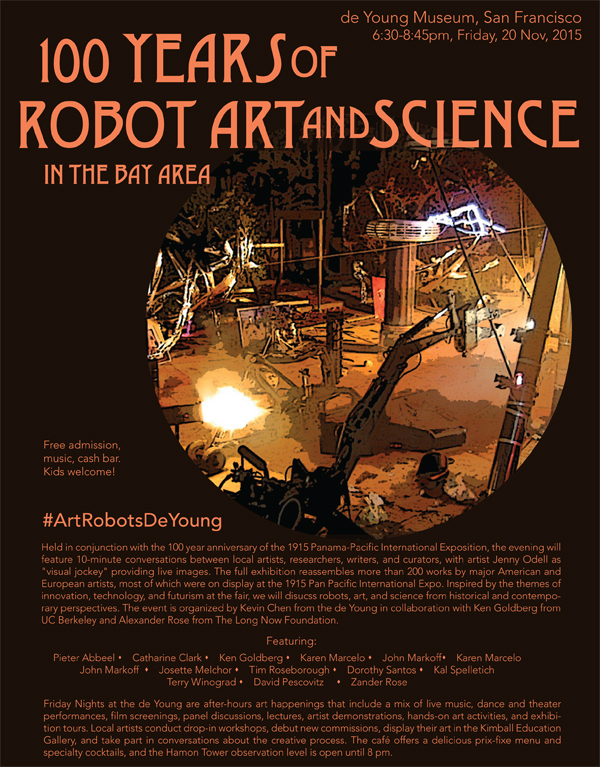 Organized by Kevin Chen from the de Young in collaboration with Ken Goldberg from UC Berkeley and Alexander Rose from The Long Now Foundation with artist Jenny Odell as "visual jockey" providing live images projected during a series of 11 10-min discussions about robots, art, and science from historical and contemporary perspectives. The de Young Museum Exhibition reassembled more than 200 works by major American and European artists from the 1915 Panama Pacific International Exposition, San Francisco world's fair that celebrated the opening of the Panama Canal and the city's reconstruction following the great earthquake of 1906. The grand exposition covered 76 city blocks and boasted national and international pavilions showcasing innovation, industry, and the arts. Essay on "A Century of Art and Technology in the Bay Area"